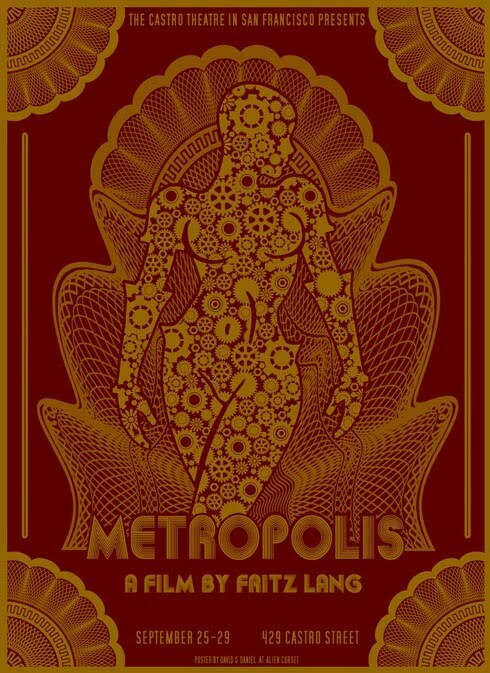 Metropolis returns to the Castro Theatre by popular demand. 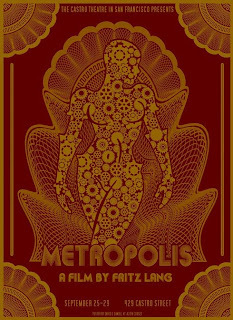 If you havent seen the restored version...Run! It is amazing! I have 2 new posters for the 5 day run. A red and a green. These started off with a solid block of gold followed by the red or the green with the image punched out. The gold shines through the second color giving a nice shiny effect. On top of that went another screen of gold. 18 x 24 inches and each color is limited to an edition of 125. SOLD OUT!